Car trouble doesn’t always mean major repairs. Here are some common causes of vehicle issues, and techniques to help you find the problem, and either fix it yourself or bring it into the shop and have one of our technician fix it. Alternator – Loose wiring can make you alternator appear to be defective. Our technicians check for loose connections and perform output test, before recommending replacing your alternator. 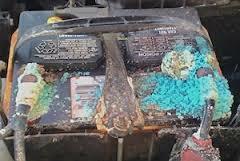 Battery – Corroded or loose battery terminals can make your battery appear to be dead or defective. You can clean them, or we would be happy to do that for you. We would also test your battery function, to make sure that it is still strong, as to not leave you stranded. Starter – What appears to be a defective started actually may be a dead battery or poor connection. We would check all of the connections, and test your battery before repairing or replacing your starter. Muffler – a loud rumbling noise under you vehicle indicates a need for a new muffler or exhaust pipe. The “Brake” light on the instrument panel is on. At Long’s we off Free Brake Inspections. In fact every time you bring your vehicle to us for any service we inspect the wear on your brakes…we want to make sure everything is safe for you and your family. You have difficulty starting the engine. The “check engine” light is on. You experience rough idling or the engine starts stalling. Your vehicle has poor acceleration. Your vehicle starts having poor fuel economy. The engine continues running after the key is removed. Abrupt or hard shifts between gears. Delayed or no response when shifting from neutral to drive or reverse. Failure to shift during normal acceleration. Slippage during acceleration. The engine speeds up, but the vehicle does no respond. Usually caused by using gas with a lower octane rating than recommended. Check your owner’s manual for the proper octane rating. If the problem persists, engine ignition timing could be off and causing the issue. Worn crankshaft or connecting rod bearings. Al loose shock or other suspension component. The smell of burned toast – a light, sharp odor – often signal an electrical short and burning insulation. To be safe, try not to drive the vehicle until the problem is diagnosed. The smell of rotten eggs – a continuous burning-sulphur smell – usually indicates a problem in the catalytic converter or other emission control devices. Don’t delay diagnosis and repair. A thick acrid odor usually means burning oil. Look for signs of a leak. The smell of gasoline vapors after a failed start may mean you have a flooded engine. Wait a few minutes before trying again. If the odor persists, chances are there’s a leak in the fuel system – a potentially dangerous problem that needs immediate attention. Burning resin or an acrid chemical odor may signal overheated brakes or clutch. Check the parking brake. Allow the brakes to cool after repeated hard braking on mountain roads. Light smoke coming from a wheel indicates a stuck brake. The vehicle should be towed in for repair. A sweet, steamy odor indicates a coolant leak. If the temperature gauge or warning light does not indicate overheating, drive carefully to the nearest service station, keeping an eye on your gauges. If the odor is accompanied by a hot, metallic scent and steam from under the hood, you engine has overheated. Pull over immediately. Continued driving could cause severe engine damage. 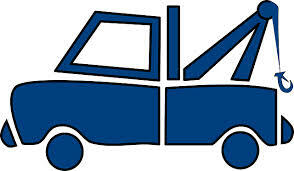 Have your vehicle towed in for repair. The more you know about your vehicle, the more likely you’ll be able to head off repair problems. 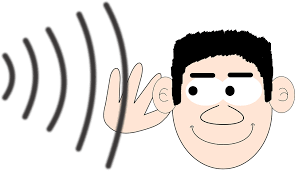 You can detect many common vehicle problems by using your senses: eyeballing the area around your vehicle, listening for strange noises, sensing a difference in the way your vehicle handles, or even noticing unusual odors. Small stains or an occasional drop of fluid under your vehicle may not mean much. But wet spots deserve attention; check puddles immediately. Yellowish green, pastel blue or florescent orange colors indicate an overheated engine or an antifreeze leak cause be a bad hose, water pump or leaking radiator. A puddle of clear water usually is no problem. It may be normal condensation from your vehicles air conditioner. If you or your family are planning to go “over the river and through the woods” this holiday season, you should have your car professionally checked first. Millions of people take to the highway to visit family and friends over the holidays. 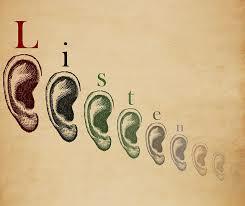 If you are planning a trip here are a few tips to remember. Well before the trip have a Courtesy Inspection performed by a trained technician. Break downs a long way from home can ruin even the best of holiday spirits. A trained technician can often spot potential trouble before it happens. Take plenty of breaks along the way and don’t drive when tired. If you are traveling with children, remember to provide them with snacks and games to keep them busy. Maybe leave in the middle of the night so they sleep through the major part of the trip. Keep a sense of humor and take deep breaths when needed. Plan out your route ahead of time. Allow extra time for weather and unexpected traffic tie-ups. The Long’s Car Care Family wishes you and yours a safe holiday season! While your brakes stop the wheels it is your TIRES that stop the Car. So with the weather turning nasty now is a great time to ensure your tires are up to the task. The easiest way to know what shape your tires are in is to have them inspected by your trusted mechanic. He can also correct the air pressure as needed during his inspection. For the “do-it-yourselfers”, tires are considered unsafe when they have less than 2/32” of tread remaining. Most tires have “Wear Bars” in the deepest part of the tread that is raised 2/32”. When the tire is worn to the wear bar it is time to replace. Personally I think that tires even close to that measurement should be replaced before heading into winter! A tire gauge is another must have for you do-it-yourselfers. Low tire pressure is the number one cause of premature tire wear and can lead to unsafe handling, even to the point of an accident. Worn tires are more likely to hydroplane in wet weather and offer little traction in snow and ice. Your vehicle’s lights and wiper blades are vital safety features. Headlights out reduce your ability to see (and be seen). Driving at night, especially on wet rural roads really strains your headlights ability to allow you to see safely. Worn out wiper blades blur your ability to see what’s going on around you. Also tail and brake lights let those behind you know what you are planning (or already doing). In addition your vehicle has “Marker” lights usually on all 4 corners making you visible from the sides. These are important when trying to merge into traffic from a side or cross street. 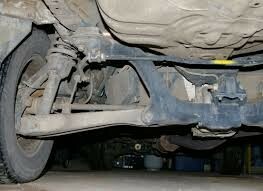 Let our team inspect your vehicle to ensure these components are in proper working order for the coming months. Safe driving from Long’s Car Care Family.